I saw this movie in the Cinema last night. I can not recommend this movie highly enough to kids of all ages. it is a long, long time since i have heard a Cinema audience laughing so much during a movie ( i think the last time was during Gigli!). Finally Dreamworks have managed to surpass the achievements of Pixar. All the elements are beyond anything i have seen in an Animated movie since The Lion King. the animation is hugely detailed and achingly beautiful, the script is the best i have come across in years. the only bum note in this symphony of fun is the fact that some of the immensely talented voice cast are badly underused. 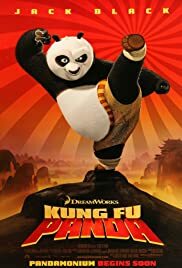 i can only remember hearing Jackie Chan's voice 3 times at most. having said that, the movie rests on the shoulders of jack Black and Dustin Hoffman. while playing their parts in a very different manner to each other, both are note perfect. they invest their characters with an energy (Black) and dignity (hoffman) that i could not find any fault with, even if i wanted to, not that i want to. 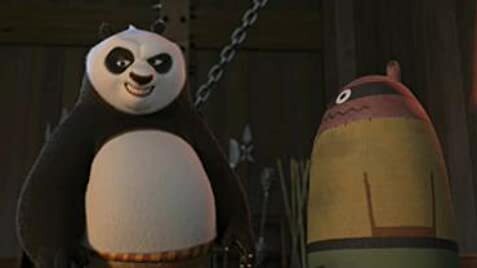 Lastly, i believe that Oogway is the best animated character ever rendered, his facial expressions are hilarious and-surpass any previous attempts to give a character convincing facial expressions (i consider Gollum to be a CG character, not an animated character, for the record). 82 of 96 people found this review helpful. Was this review helpful to you?